No mood to work today..
No.. we didn’t cancel our 2nd honeymoon trip.. we just have to swtich to another resort because Kuramathi’s Water Villas with Jacuzzi are now full booked! Very unusual because we intend to go during the starting of the low season 😦 Nevertheless, Raul is very sad because he really wants our villa to come with either a pool or jacuzzi.. There are also other resorts with either pool or jacuzzi but again, it falls back to our intended budget. As you know, nicer rooms normally will come at a price. To me, I find that Kuramathi is a value resort meaning its AI plan, seaplane plus the room crunch in other resorts might be the reason why the water villas run out fast this time. Goodbye Kuramathi Water Villa with Jacuzzi.. Putting this one on the bucket list. Nice, right. I assured Raul that there must be a blessing in disguise. This is due to the fact that Kuramathi is more to a family resort hence it might be slightly more crowded especially if during meals and for water activities. Now I am thinking maybe we should find a smaller resort with lesser rooms. Therefore, it’s more exclusive and quiet. More of a Maldivian experience feel. Activities and facilities might be lesser but its okay, as long as the rooms are likely more spacious and could give us more privacy. Ultimately, we want PRIVACY right. Okay off to do some more honeymoon research! Selling a brand new Prada Canapa Shopping Bag. Condition 10/10. Was retailing at SGD$2470. Asking for $1.8k atleast. Can nego if interested but please be reasonable. Bought it on impulse and never use and never intend to use hence selling. PM me if interested please. Not interested in swopping. Thank you. The countdown begins. I think I’m in denial when I say I want to enjoy a stress-free wedding planning process filled with much love and fun. HAHA. Yesterday I received something in my mailbox! It was a black colour hard cover envelope with a pretty ribbon sticker at the back and was attention to me. I impatiently open and there, I received a bachelorette party boarding pass from my super creative girlfriends aka “The Scandalous Trio”!!! Last two years during Finy’s bachelorette party, we were “The Triple Threat”! Classy or what the card! Siap dengan full name segala (had to blur it for confidentiality purpose, ceh!) OMG I JUST CAN’T WAIT FOR IT!!!! I know it is going to be awesome possum!!! An exclusive flight like no other! Here is my gorgeous pair of wedding heels! So wedding-like.. so amazingly beautiful.. SO ME! This is my third pair of Melissa heels. Like their shoes, Melissa heels are the most comfortable high heeled shoe I ever own! I am aware that if i wear covered shoes, then might not be able to see my henna but it’s okay I don’t mind as long as people notice my pretty flower heels. Prolly I need to get open toes heels too if i were to wear taditional outfit but okay I will decide about that after I have chosen my outfit. 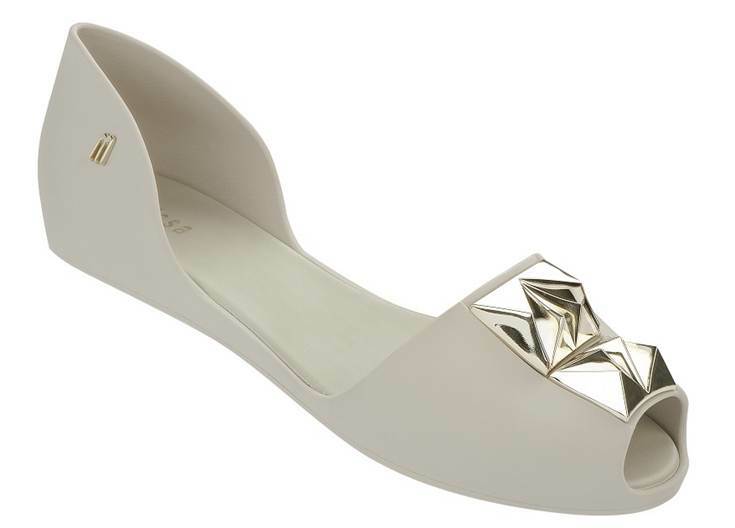 Okay so back to the Bachelorette Party, now I have to hunt for white shoes! I have shortlisted two but still contemplating on which pair to get. 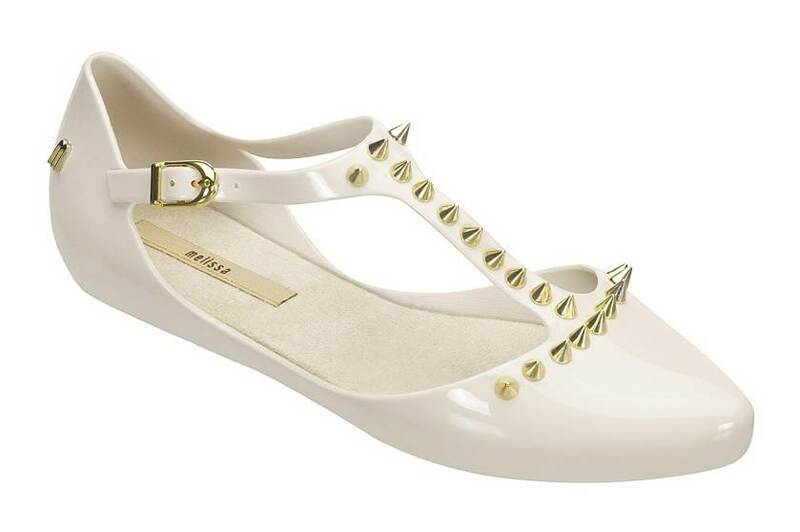 I really like Melissa Doris Spikes but then I have the same one in black already. I might be getting the latter. Sigh i am soooo indecisive! We shall see…..
Hello (2014)… Is it me you’re looking for? A warm welcome back earthlings! I know it is 3rd January already but still, I am eager to share that I look forward to kick off this new year 2014! Because it is the year I am getting married! Before the end of 2013, I still have 1 day of Parental Care Leave still unused! So I decided to apply it on 30th Dec! Da on leave tu, ape lagi, we decided to just go for the ROMM interview! We were both nervous because the couples before us all had to enter the Ustaz’s room one by one. None of them are being summoned in pairs! But right after my dad’s interview, he said we both can enter the room together! Phew. We were interviewd by Ustaz Nor Azhar. He was very serious! Raul and I automatically sat upright, occupying only half the seat, answering “ye”, “betol”, “In Shaa Allah” to reciprocate back to his questions. 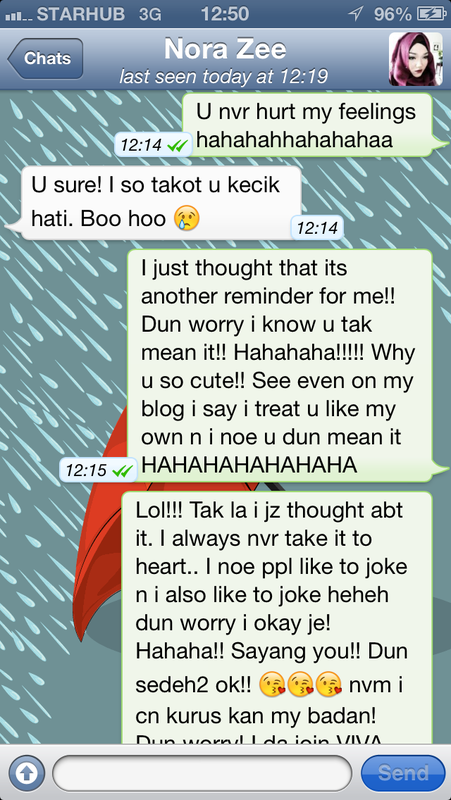 So serious his tone, da macam nak angkat nikah! Really, no joke! We had to angkat sumpah to ensure that the information we gave are the truth. Didn’t ask for any pre-marriage course certificate, maybe because it is stated there that we haven’t attend any yet. So anyway, New Year’s Eve has always been exciting to me! My friends and I, we don’t go out and have wild times anymore, unquestionably. We usually go for our annual seafood feast at Newton. The only time you see us devouring seafood is only on 31st December. The last NY party we went to was at DXO on 31st Dec 2009!!! OMG D X O la sia.. da tutop pon tu club. We’ve been doing this for four years now and I am glad we started the seafood tradition since NYE 2010. Besides seafood, our favourite parts of the evening will also be drinking teh katai while waiting for fireworks! I trust that all of you, like me, are ready to enter the new year with a clear goal! Of course in life, there will be changes. Changes is inevitable as it is part of progress. Without changes our life will only stagnate. For those who are getting married this year, let us pray that HE gave us courage and perseverance to embrace the changes that we will soon face before and/or after becoming newlyweds. In all honesty, my life has been pretty dull, because there are so many things to pay now that my wedding is left with 4 months or so. But even in the dullness, there have been little kernels of excitement… okay I’M GOING TO SHARE! Most of my wedding vendors are more or less settled. I started to book and made downpayment to the vendors right after i got engaged on 20/11/2011. These are e list of bookings so far.. I can’t thank my parents enough for footing the bill because it really saves me alot of money. Raul, being the thrifty person, knew how we should plan and manage our budget. I am proud to say that he has a vision on how he wants the wedding to be like. I am more to the “bochup, janji i dapat kahwin ngan u” kind. We both knew that we just want a wedding party event to celebrate our union and if something is out of budget, he will do the decision and we will drop it. Just like me, he is also very lucky because his parents funded the bulkier part. They took Iza Wedding (which is also my favourite wedding vendor) that came with the whole package of catering, decor, invitation cards etc. He has to only concentrate on Mas Kahwin (settled), Duit Hantaran (settled), Hadra and e rest of the nitty gritty stuff. From the very beginning, Raul wanted us to spend the bulk of the wedding funds towards our honeymoon and hantaran. He wanted us to be at the place we want to be the most. I want us to be in PARIS, but my thrifty Raul decided on R&R instead. Basically, he doesn’t want the honeymoon to include SHOPPING in the itineary, period! so we have decided to go for honeymoon on two separate months. Because I have been doing more research on honeymoon than my actual work in office, I manage to psycho Raul to go Abu Dhabi. And voila! there you have it, I’ve booked the flight and hotel for our first honeymoon trip!! Now we are still planning for the perfect date to go Maldives. We already know which resort to stay and all but because of the expensive air fares, we will wait for the fares’ prices to drop in perhaps Jan/Feb 2014 and we will book it all together. Yay we just can’t wait for Abu Dhabi and Dubai! There are still a couple of bookings which i’ve not yet covered. To me henna is the least of my worry. Perhaps, I will just do the basic old-school traditional henna because sesungguhnye i geli dgn inai. But I will re-consider as my manager just gave me an idea. On his wedding night, his wife asked him to find his name hidden in her intricate henna design! I just can’t imagine my hand full of complicated designs n lines. Its just me.. GELI lah. We still have not decide on what type of car we want, so again KIV. Not important to me now since the Pink Volkswagen beetle is way out of my budget. I will just settle for any car as long as both Raul & I can reach both places safely. We have decided to go for the course perhaps in February or March 2014 together with my brother and his fiancee. 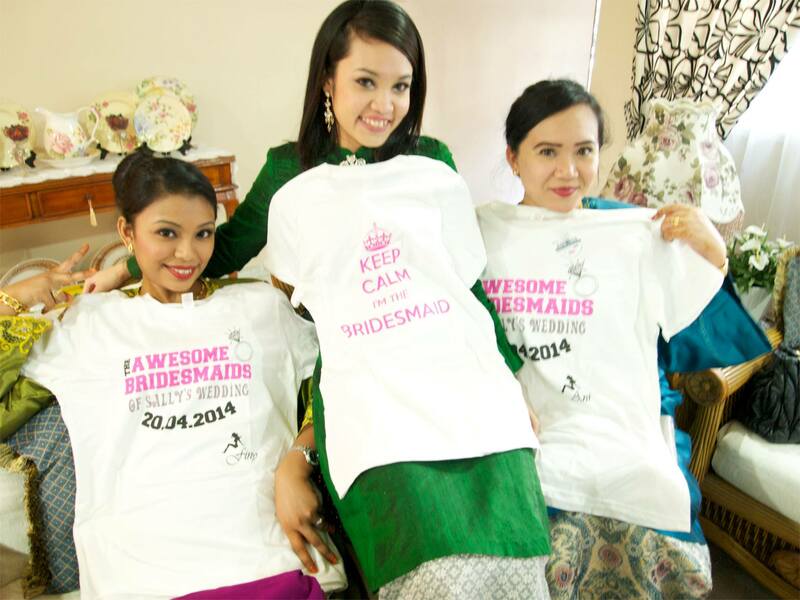 My three bridesmaids have received their outfits since Hari Raya. They were each given three outfits – basically 2 traditional ones for nikah and sanding, and 1 bridesmaids tee to wear on malam berinai (Friday night). I wanted to give them the 4th outfit for kenduri on Thursday night but my thoughtful gfs insist that I should stop spending more money on them because its unnecessary. So will just give them a common colour that we all have n we will wear it that night. Actually both Raul and I didn’t know that 18 April 2014 is a public holiday. Our wedding date 20.04.2014 was set even before we got engaged. There’s just something about us and dates. 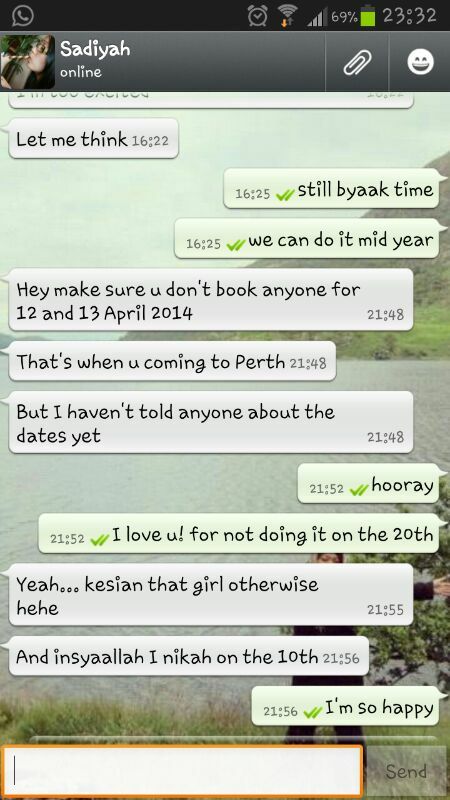 But alhamdulillah, Friday 18th April 2014, will be a public holiday so my bridesmaids can save their leave! For now, i just need to doa and doa that everything goes according to plan. Thank you for hanging in there and reading this lengthy post. HAHA! A couple of months ago, my cousin Mally, chose me to be her Maid of Honour. At that time, I didn’t give much thought and just accepted it light-heartedly. Clearly, there was soooo much planning to do and I didn’t regret that journey, ever. In fact, it is one of the best journey that I should highlight in 2013. Despite all the things that I was so concerned about, like do i have to walk hand in hand with Izwan’s best man etc, I realised that I shouldn’t stress too much so I gave Mally a call and expressed my concerns cuz I am a concerned citizen.. eh no, I’m a concerned MOH. It wasn’t so bad afterall! I think I overthink too much and my tasks was actually much more simpler than I thought. The best part was that everyone had to “go through” me first and I will need to validate and approve any ideas or suggestions! All in all, we all became close and we clicked VERY WELL that people thought we have been friends since donkey years ago!! They are a bunch of gerek and kekek nak mams punye kakis! Glad that Mally picked us to be her bridesmaids! And of course, one last photo with our MUA, Kak Nora! I know my blog has been collecting dust since Sept. It was my birthday month and i was so busy.. busy hanging out and eating non stop, busy receiving presents.. busy with surprises. HAHA. First and foremost, if you are hungry or fasting, please refrain yourself from reading this entry. It is OVERLOADED with food pictures! Well, i can’t be more happier after I got my first surprise from Raul. Was having conversation with my family in my room when suddenly Raul appeared out of nowhere, standing right outside my room! Soooo goodbye to my 3 calenders – school, work, personal and HELLOOOO IPAD!!!! It is so much easier now to keep track of my balance sheet ON-THE-GO too! Yes i keep a balance sheet for every account. Some friends asked me why I keep track when the bank will send me the statement of account each month. If i say i enjoy caluclating my money on a daily basis to monitor my financial situation, will u all believe me???? LOL. I think this is not a crazy idea. It is a damn good idea which everyone should do – to keep track of ur total savings against ur spending. Lastly, I also can edit my wedding checklist anytime, anywhere. OOOUUUU… I LOVE MY IPAD!!! Later on, i finally got my surprise from my gfs!!! It was sooo funny and unbearable! lol! They kept giving me hints after hints.. asking me to figure out the place where the surprise would be held! In the end Raul and I managed to solve their clues. Once I reached the place, I was blindfolded and they spinned me round and round until i got a headache! Then when they took off the blindfold, they shouted “SURPRISE”!!! and sang me a birthday song! My gfs r bunch of funny people. They are very competitive and always want to give me better gift(s) and better surprise than Raul. Always the case every year! But whatever it is, year after year, the surprises just got better and I truly appreciate everyone’s effort nontheless! They got me Adlina Anis shawl and a gold bracelet and a birthday cake! Everyone there was starving so we “attacked” the cake right there and then. Apart from them, I also have this tradition of celebrating my birthday with my ex-colleagues whom I have considered as my very good friends. I am truly blessed as they surprised me with my favourite pair of shoes!!! Now I have more than 10 pairs of Melissa shoes already. Yay! We decided to dine at I AM Cafe. My gfs and I read all the great reviews so we had high expectations. The cafe itself is a work of art. Unfortunately, we were disappointed overall. Service was prompt but staff wasn’t that attentive – pizza was… okay.. something that I can do myself, really. Pasta was too bland! we feedback and we were expecting them to re-do lah but the waitress asked if we need salt and pepper!! Having two pregnant ladies with me that night, thankfully none of them was in any bratty mood and we just make do with both salt and pepper. The burger… omg.. from reviews i saw cheese was oozing out and all.. but ours.. omg where’s the love for cheese man.. and strangley enough, the beef was dry! The only thing we enjoyed was the cheese balls and cakes. Seriously lah, if anyone asked me, would I go back? Probably not for the main course but perhaps just for the desserts. Then met my other ex-colleagues.. this one multi-racial colleagues.. but they were shy to take photos so ta-da! Only photos of us who turned another year wiser. LOL. My family took me out for dinner. We went to J’s Wok & Grill. This is probably my favorite restaurant by far. Simple yet beautiful restaurant with family- friendly atmosphere. Prompt service and staff always willing to go the extra mile. Would eat here everyday if I could haha. Sometimes I marvel at what I’ve become, but I’m happy with who I am today and I wouldn’t change it for the world. Yes, I am talking about me in hijab. I am glad that my circle of friends accepted the new me and they are aware that I am still full of “rubbish” – by that i mean its about my crude jokes. Will continue blogging about Mally’s bachelorette party that we had and also about her grand wedding… NEXT!! How can one not be excited to choose theseeee dressessssss! 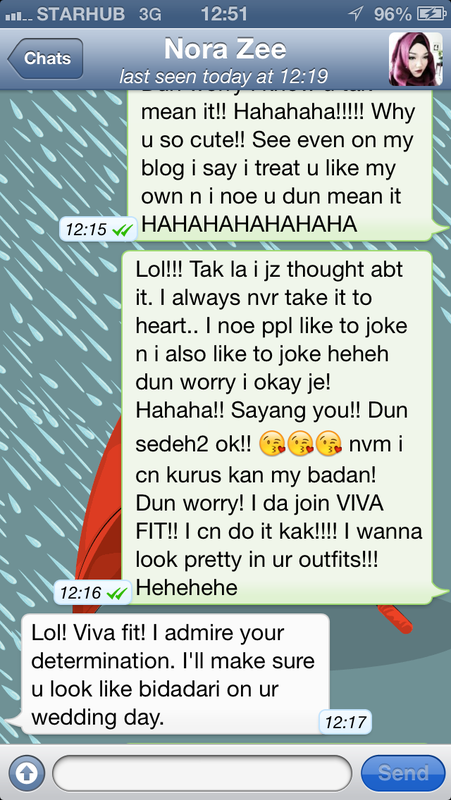 My sweet and funny MUA whatsapp me. Kak Nora, found her way here after she read a post about her on Farhana’s Blog. I soooo gotta put it here man. TA-DA!!! 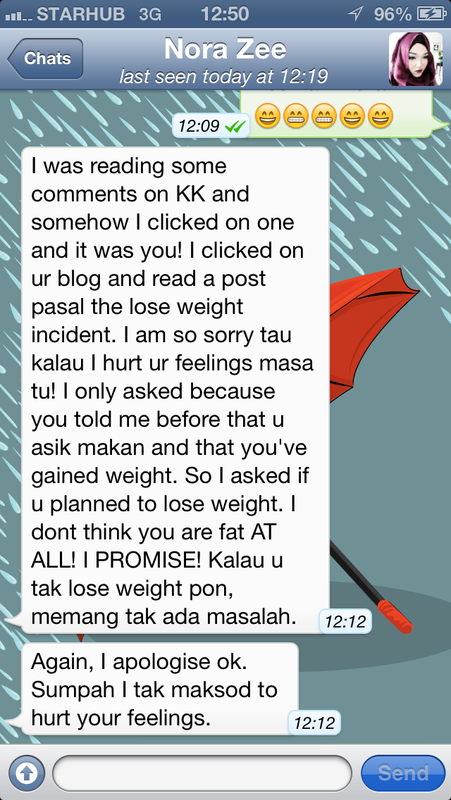 Okay okay, Kak Nora, you never hurt my feelings ok. How could that possibly be? You’re the best, friendly, kecohrable MUA I ever had. Okay bck to the main purpose of this entry. Due to the fact that I feel fat and all the food around me, tempting me, is sooo not helping, I have decided to go for the 3 days trial at Vivafit Singapore. Mine is at Raffles Place.. They have a few other centres around Singapore. This gym is strictly for women! I liked the fact that its only for women, and Raul was pleased to know I signed up with them after only trying 1 class! He said “it beats buying Melissa shoes” LOL. It is so fun! I’ve made a few friends now and I look forward to it every day.. except now that its fasting month. For the past 2 weeks, my evenings were spent at the gym. All you need is 30 min bt i usually attend classes like BodyVibe, Body Balance (like yoga), Sh’Bam and Pilates then do circuit training for about an hour plus in total each day. On most evenings, most people would have left when I reached there so there’s a chance for the instructor to just focus on me and train me 1-to-1 on the machines. Better than paying personal trainer at normal mixed gender gym and atleast I don’t feel shy cuz there are no guys around haha! I am soooooooo motivated to get an apple at the end of each month. If you lose few inches around your wasit or your weight has gone down, they will give you an apple and it will be pasted on this particular wall. If you lost less than 3 kgs, your apple will be on that wall, if you lost more than 3 kg, 5kg and 10kg, it will also be pasted on the wall with your name on it! How can I not be motivated right!!! So they took my weight measurement and mine was 51kg a week ago.. can’t rmbr whats my waist size though. Since I am not hitting Vivafit for a month now, I will be back in August and will see how much weight I have lost by end August okay! Biggest change in my life. Okayyyy firstly, selamat menyambut bulan RAMADHAN AL MUBARAK ! First and foremost, I hope to make this Ramadhan more meaningful and better than the previous years. I am in hijab now. Yes finally decided to go for it. I tell myself, “if not today then when?” Alhamdulillah it was the best choice I have ever made. The change has been nothing but a very supportive one from the people surrounding me. And I felt stronger and more positive than ever. Other people’s opinions of me doesn’t matter as much as i thought it would, really. I don’t do it on anyone’s terms bcos it comes from my within. I’m just glad that i have atleast started somewhere. I’m pleased to wear it and I pray that Allah rewards me. AMIN. First day went by, second day went by.. and finally its going to be almost two weeks now! Now I know how people feel when there are really in hijab. I have never felt so good in my entire life. Really I am not exaggerating. Its just different, from the way people look at me, the way people talk and stuff. However I do have people who doubt me.. said I won’t keep it for long. I know people wouldn’t believe I could do it because I am afterall a bad girl =( But I know myself better than anyone else.. Gone are the days where I would smoke n club n whatnots. Ive tried and tested and Ive had my fun and joy. Now is the time. I told myself I must stop, that I am not getting any younger and I did. I have tried to stop smoking couple of times but always failed. But this time, I am truly proud of myself. Under this thin cloth that I’m donning, I wouldn’t want to do something like smoking.. I had to go through the fight with none other than myself.. and and and.. I swear a whole lot lesser now 🙂 I even regret all the things I did in the past and I hope HE will accept my taubat 😦 I can cry all over again thinking about the past. Whatever hardship I am facing, I know HE won’t test me with something that I couldn’t handle.